Sky and Netflix have announced a new partnership to bundle the full Netflix service into a brand new Sky TV subscription pack. This will give millions of Sky customers seamless access to Netflix through the Sky Q platform. Sky will make available the extensive Netflix service to new and existing customers by creating a brand-new and attractively priced entertainment TV pack, combining Sky and Netflix content side-by-side for the first time. Netflix’s service includes over a thousand hours of Ultra HD content, complementing Sky Q’s extensive UHD programming. With the Netflix app integrated into Sky Q, and Netflix programmes promoted alongside Sky content, customers can enjoy shows such as Britannia, Billions and Big Little Lies alongside The Crown, Stranger Things and Black Mirror, as well as free-to-air TV, all on the Sky platform. At the same time, customers will enjoy the simplicity of one monthly bill and easy to use, integrated user interface. As part of the new partnership, Sky customers will be able to seamlessly access Netflix content in the Sky Q menu, plus quickly find their favourite Netflix programmes including the use of Sky Q’s search and voice search functionality. Existing Netflix customers will be able to easily migrate their account to the new Sky TV bundle, or sign into the Netflix app using their existing account details, to enjoy Netflix with even greater convenience. This European partnership will see Netflix – along with the new Sky TV pack – launch on Sky Q in the UK and Ireland in the coming year. Netflix will launch on Sky Q platforms in Germany, Austria and Italy thereafter. 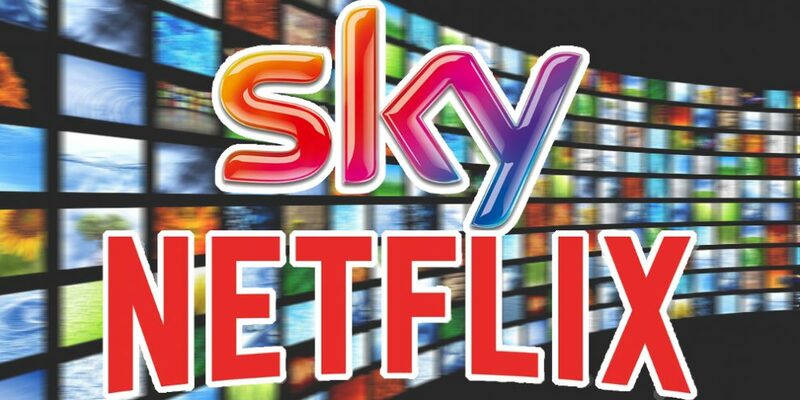 Further details on pricing and billing within the Sky Q service will be confirmed nearer to the time Netflix launches on the platform. Sky+ customers will not be able to access Netflix through their set top box or Sky Go app. This agreement does not include the Sky Q app.